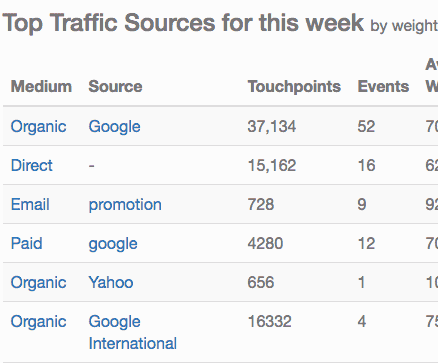 See the most meaningful metrics right away. No reports to setup, no consultants to hire, just immediate results. See the credit given to the marketing channels after every single event. Easily see which specific purchases or leads contributed to the score for a source. Never wonder if the numbers are right, the full customer experience is always included. See your customers experience onsite: where they came from, what pages they visited and what events happened. This is the base data for calculating your attribution results and everything is traceable back to your individual customers. Stay on top of which campaigns are performing best and customers you've driven with daily or weekly dashboards right in your inbox. 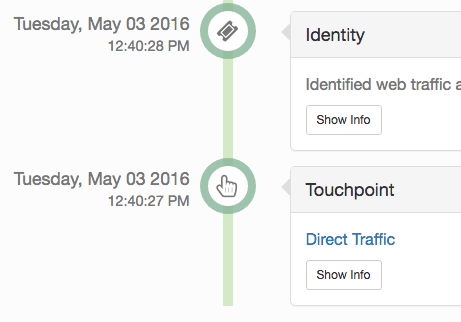 UTM tags can easily become unruly over time, one typo and your results are askew. Attribution.io lets you remap all of your tags into a simple hierarchy so mistakes or reorganizations are never a problem. 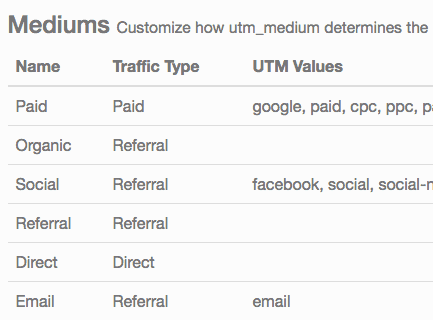 The platform will even alert you when a new utm_medium tag is found, to ask you how to organize it: How's that for full visibility into your traffic! 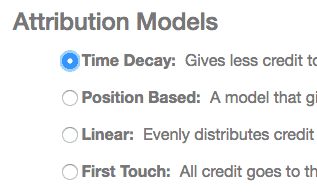 We keep every piece of data you send so you can experiment with different attribution models and compare your results. We also have guides for some common platforms to make it as easy as copy & paste, including support for AJAX heavy and single page apps. Installation is so easy, we'll even do it for you. Just shoot us a note. We use only web standards and do not track anyone beyond their activity on your site. We never buy or sell 3rd party data. We use only 1st party cookies and never use underhanded tracking devices ("permacookies" / "fingerprinting"). We even support DoNotTrack. 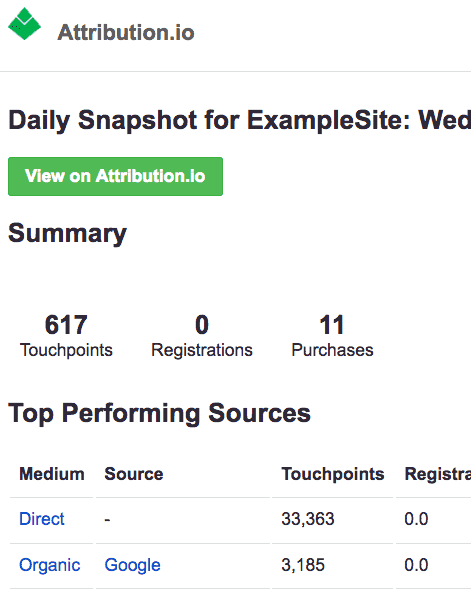 With our Shopify App you can see your marketing results directly inside your Shopify Admin. 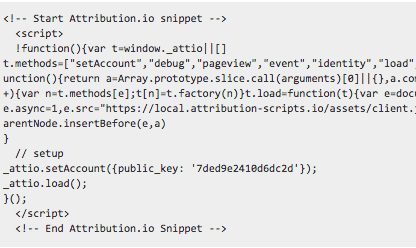 The app makes it incredibly easy and fast to setup your account and install Attribution.io with just a few clicks. It will automatically track your store and tell you which marketing channels are contributing to new sales so you never have to wonder if your efforts are paying off.